2019 Lavender Festival - July 19, 20 & 21 !! And we have a long wait list…. 2019 Lavender Ambassador – Volunteer! 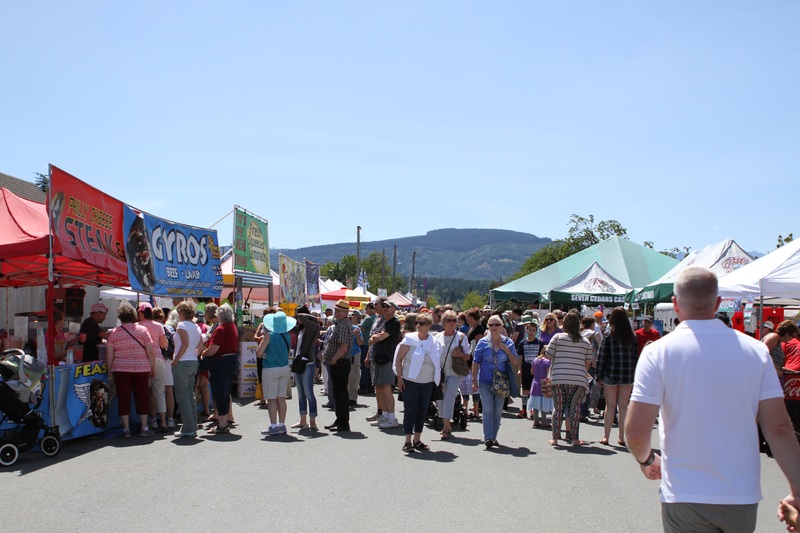 Yummmm….. Food Court is located on the west side of the main stage in Carrie Blake Park – right in the middle of all the fun! There is nothing lacking for the discerning appetite. Food vendors will be serving up Lavender Ice Cream, Thai, Greek, and returning this year Colossal Elephant Ears. 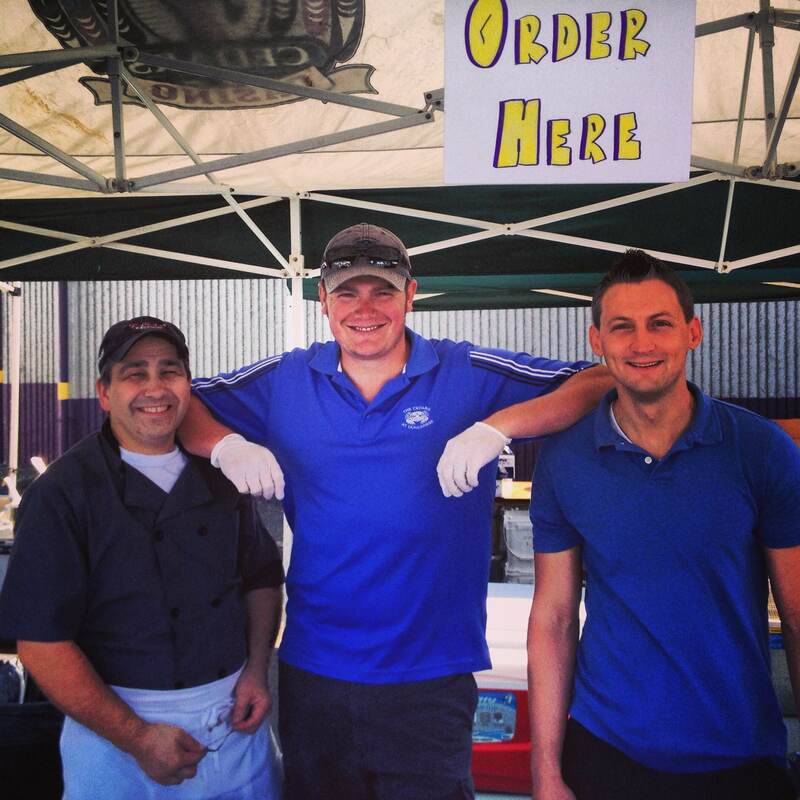 We love our returning food vendors and know that festival goers look for them year after year. Bountiful Seafood selections include… soups, fish & chips, crab cakes and salads. Plus grilled hamburgers, garlic fries, and corn dogs! NEW in 2018 two more delicious food vendors… Coyote BBQ Pub and Jefferz Grub & Espresso! A delish tasting for every palate, something for everyone in the family. Bon appetite! Bangkok Bistro – Thai Cuisine including Phad Thai, Vegetarian Spring Rolls, Mixed Vegetables, Pepper Beef Steak, Chicken Red Curry, Tamarine Chicken, Pacific Prawns with Vegetables, Thai Iced Tea/Coffee. Excellent Kettle Corn – Fresh, delicious Kettle Corn made on site. Olympic Mountain Ice Cream – Refreshing selection of lavender ice cream flavors along with other assorted ice cream and sorbets with freshly made waffle cones and root beer floats too. Paella House – Authentic Paella from Spain: Rice with choice of Seafood, Chicken or Vegan – all made with a base of local, organic vegetables. The Green Cup – Refreshing Beverages – Hot or iced espresso drinks, Italian Sodas, tea, lavender lattes & mochas and for a sweet treat, Cookies too! Randall’s Catering – Delicious Seafood Gumbo, Clam Chowder, fresh salads and Crab cakes. We are very pleased to welcome back The Cedars at Dungeness who will be hosting our Festival wine, beer & spirit garden. In addition to their usual tasty offerings, they will have Lavender Margaritas & Lavender Martini’s. It is conveniently located near the food booths and the all-day music on the James Center for the Performing Arts band shell at the north end of Carrie Blake Park …so you can enjoy a glass of your favorite beverage while relaxing and listening to music. Be There! Back by popular demand will be lavender wine. We have teamed up with local winery, Hurricane Hills Winery. They will be making Lavender Blackberry wine for tasting and purchasing. It is made from one of our very own Sequim Lavender Growers Association™ farm’s culinary lavender. Need some help with your lavender plants? Download a free LAVENDER OWNER’S MANUAL. Dr. Lavender has the answers! Copyright © 2019 Sequim Lavender Festival Ⓡ. Powered by WordPress. Theme: Spacious by ThemeGrill.